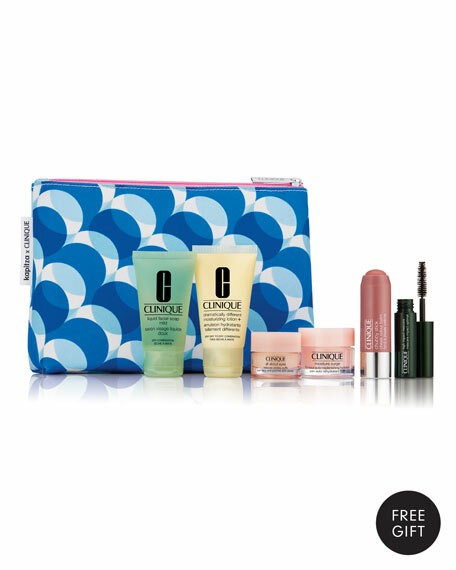 With any Clinique purchase of $50 or more, receive a complimentary gift. *The value of your Clinique order must total $50 before shipping and tax. One gift per order, while supplies last. Does not apply to previous purchases, or in store locations. Cannot be combined with any other discount offer. For in-store inquiries, use sku #2824825. This is a promotional item.